Few entertainers today are as three-dimensional and versatile as Ben Vereen. His energy and soul transcends time; while his electrifying success is the result of rare talent, superb mastery and strong discipline. Of course, his first love and passion is and always will be the stage. “The theater was my first training ground. It taught me discipline, dedication and appreciation of hard work and values that will stay with me a lifetime. The stage sharpens the creative instrument and encourages you to go deeper inside and try new things.” states Vereen. On Broadway, Ben Vereen has appeared in Wicked, Fosse, the critically acclaimed, I’m Not Rappaport, Sweet Charity, Hair, Jesus Christ Superstar, Pippin, Grind, Jelly’s Last Jam, A Christmas Carol, and Chicago. His role in Pippin garnered him both the prestigious Tony Award and the Drama Desk Award for “Best Actor in a Musical”. Clive Barnes of the “New York Post” stated “Ben Vereen – unquestionably one of the finest performances seen on Broadway.” In 2002, he received the Black Theatre Award. Combining his love for performing and the stage, a one-man show was created to showcase Vereen’s versatility and creativity; which he has performed for over 25 years, gracing stages not only in the United States, but Europe, Asia and Caribbean. This ever-changing cabaret-style show won him “Entertainer of the Year”, “Rising Star”, and “Song and Dance Star” from the American Guild of Variety Artists (AGVA). He is the first simultaneous winner of these awards. He has also earned a coveted spot in the Casino Legends Hall of Fame. Vereen is currently touring his one man show, Ben Does Sammy, featuring the music of Sammy Davis Jr. which debuted this past November. While performing worldwide, Vereen’s acting credits continue to give us memorable roles that will forever be etched in our minds. Vereen most recently was in North Carolina acting in the HBO film, My Life in Idlewild with the award winning group Outkast which will be released this summer. While he was in North Carolina, he also was the acting coach for the feature film, personally coaching both Andre 3000 and Big Boy. In addition, Ben has been coaching the singing sensation Usher both as an entertainer and an actor. This spring Ben will also be featured in the movie, On The One – Preaching to the Choir directed by Charles Randolph-Wright. Additional acting roles include the unforgettable Chicken George in Roots and as Louis Armstrong in Louis Armstrong – Chicago Style, Anne Rice’s Feast of All Saints, Intruders They are Among us (Emmy nomination), The Jesse Owens Story, Ellis Island (Golden Globe Nomination), Lost in London, Salute to Liberty Special, Christmas in Washington and Faerie Tale Theatre’s Puss N’ Boots with Gregory Hines. His own network specials are Ben Vereen: His Roots (Seven Emmy Awards), Tenspeed and Brownshoe, You Write the Songs and Zoobilee Zoo. Vereen’s television guest appearances include OZ, Touched By An Angel, Second Noah, New York Undercover, The Nanny, Star Trek – The Next Generation, The Jamie Fox Show, Promised Land, and Fresh Prince of Bel-Air as well as recurring roles on Silk Stockings, Webster, J.J. Starbuck and Booker. In the early 90’s, he released a number of well-received children’s Sing-Along musical videos. Vereen’s film appearances include All That Jazz, Funny Lady (Golden Globe nomination), Why Do Fools Fall in Love, the animated movie Once Upon a Forest and The Painting which premiered at the Cannes Film Festival last year. In 2004, Vereen was nominated for a “Career Achievement Award” by the Le Prix International Film Star Awards Organization. The lecture circuit has become an integral part of Vereen’s career; as he has become one of the Nations’ most requested speakers among audiences of all ages. His strong sense of social consciousness has enabled him to reach out to his audiences and convey to them a deep feeling of understanding. His topics range from overcoming adversity, arts in education, Black history, motivational topics, recovery through physical and occupational therapy, and the importance of continuing education – to name a few. Vereen’s gift of time has benefited many organizations. He serves on Ballet Florida’s Board of Directors, The American Red Cross and The American Diabetes Association. In addition, he has served as chairman of several renowned organizations including The American Heart Association and the Sudden Infant Death Syndrome Association. In 1989, he spearheaded his own organization “Celebrities for a Drug Free America”; which raised more than $300,000 for drug rehabilitation centers, educational programs and inner city community-based projects. The Community Mental Health Council awarded Ben with their 2004 Lifeline Celebration Achievement Award. For his humanitarian contributions, he has received a number of awards including Israel’s Cultural and Humanitarian Awards, three NAACP Image Awards, an Eleanor Roosevelt Humanitarian Award and a Victory Award. He has received honorary doctorates from the University of Arizona, Emerson College, St. Francis College, and Columbia College in Chicago. In 2001, Medgar Evers College created the Ben Vereen Scholarship for the Performing Arts and in 2004 he received an Achievement in Excellence Award from his almamater, the High School of the Performing Arts. He serves, or has served, on the boards of Ballet Florida, American Red Cross, American Heart Association and Sudden Infant Death Syndrome Association. In 1989, his “Celebrities for a Drug Free America” raised more than $300,000 for drug rehabilitation centers, education centers, and community based programs and projects. In April of 2006, Ben Vereen finished his year long run in the Broadway smash hit Wicked followed by a role in the new Vanessa Williams film, Who Needs ‘Em? Ben is currently on a concert tour of his show “Vereen Sings a Tribute to Sammy Davis Jr.”, as well as his ongoing lecture circuit and appearances on television. Do you want to hire Ben Vereen? Directly request a quote. In 48 hours we can send you the availability of Ben Vereen If you would like to book Ben Vereen, Entertainment Booking Agency is the right place. We will offer you the best price and contact the management or we directly contact Ben Vereen. For corporate appearances or speaking engagements you can contact our agents and the will help you true the process. Tags: hire Ben Vereen, Ben Vereen booking, book Ben Vereen, Ben Vereen appearances, find more information on booking Ben Vereen for appearances, Ben Vereen speaking engagements, Ben Vereen endorsements/spokesperson, Ben Vereen appearance fees, Ben Vereen booking agency contact info, biography of Ben Vereen, Contact an artist booking talent agent find a speakers bureau that can book Ben Vereen, speaker booking agency for Ben Vereen, Ben Vereen booking agency, Ben Vereen booking for corporate event. EBA is one of the biggest entertainment booking agencies in the World. We book hundreds of celebrities, artist, athletes and speakers in a year. Important to know is that we are not claiming to be the management of Ben Vereen. 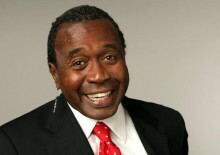 We are not the official agent for Ben Vereen. Companies from around the globe book these artists and speakers true our company be course we have one of the biggest networks and we always have direct contact with the artist or the management. We help you to find the right celebrities for your corporate of private events. Please contact one of our agents to get free advice and we will help to get the world-famous artist on your party.